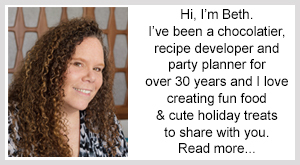 March 30, 2013 By This post may contain affiliate links. 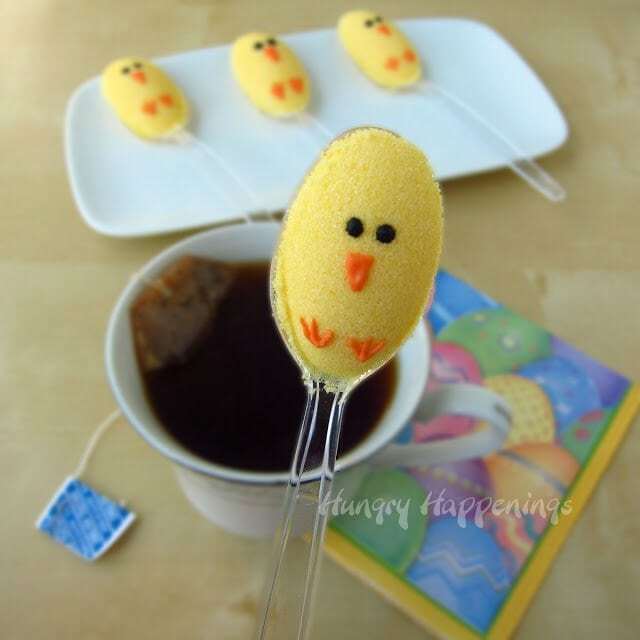 These Easter Chick Sugar Spoons are the perfect treat to hand out to your family members who love their hot drinks! They’ll melt heart before melting in your coffee or tea. The snow has just melted in our yard and it’s hard to believe Easter is tomorrow. We may be hunting for eggs in winter coats. 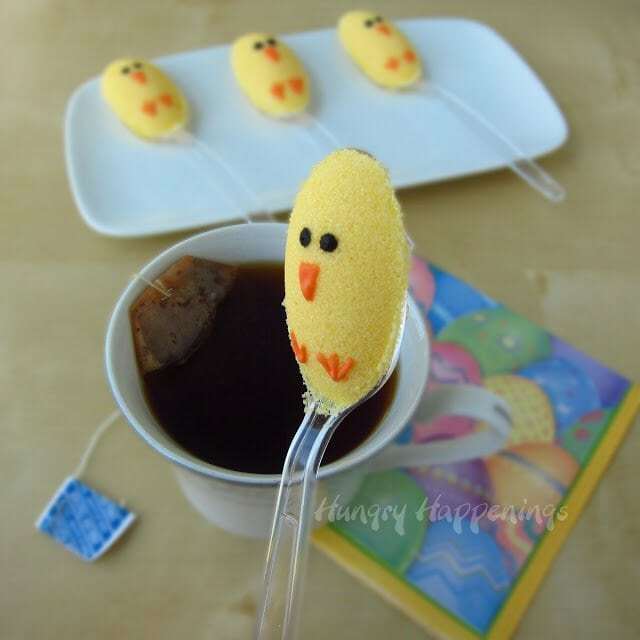 I figured everyone would be enjoying hot beverages at our Easter gathering, so I created these sweet little sugar coated spoons to serve alongside the tea and coffee. 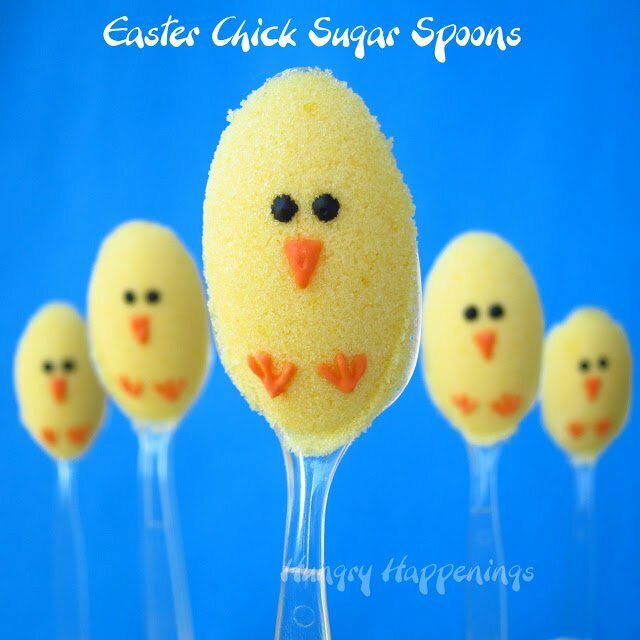 At first I was going to create these chick spoons using white chocolate, but I’d been making some sugar eggs for Easter and thought it would be fun to try to make tiny Easter Chick Sugar Spoons. 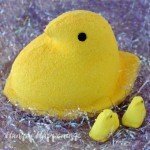 Sugar eggs, are made with a mixture of sugar and water and once hardened usually pop right out of the molds. I needed them to stick to the spoon, so I brushed the spoon with a small amount of corn syrup which did the trick. 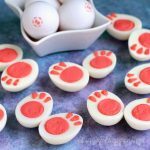 They can be dipped into a hot beverage, and will melt slowly enough that if someone doesn’t want all the sugar in the cup, they can pull it out once just enough melts. 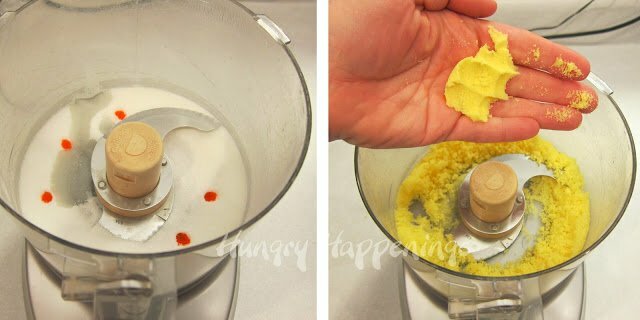 Pour granulated sugar, 6 drops yellow food coloring and 1 teaspoon water into the bowl of a food processor. Pulse until really well blended. Pinch sugar in your hand. If it sticks together, it’s ready. If not add more water a drop at a time until it does stick together. If using super fine sugar, just mix the sugar and water together then add coloring. Brush a light coating of corn syrup on a plastic spoon. Scoop out some of the sugar mixture. Use another spoon turned the opposite direction to press the sugar into an egg shape on the spoon. Press together the two spoons compressing the sugar, removing the excess. Allow to dry for at least two hours, or up to overnight. To make royal icing, pour warm water and meringue powder in a mixing bowl. Stir until foamy and well mixed. Add powdered sugar and vanilla and beat with electric mixer on low for a minute. Increase speed to medium high and mix until fluffy and shiny. Color some royal icing with orange food coloring and some with black. You will not use all the royal icing for this project. 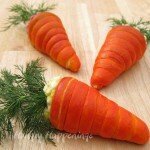 To store, cover it tightly and keep for about a week. 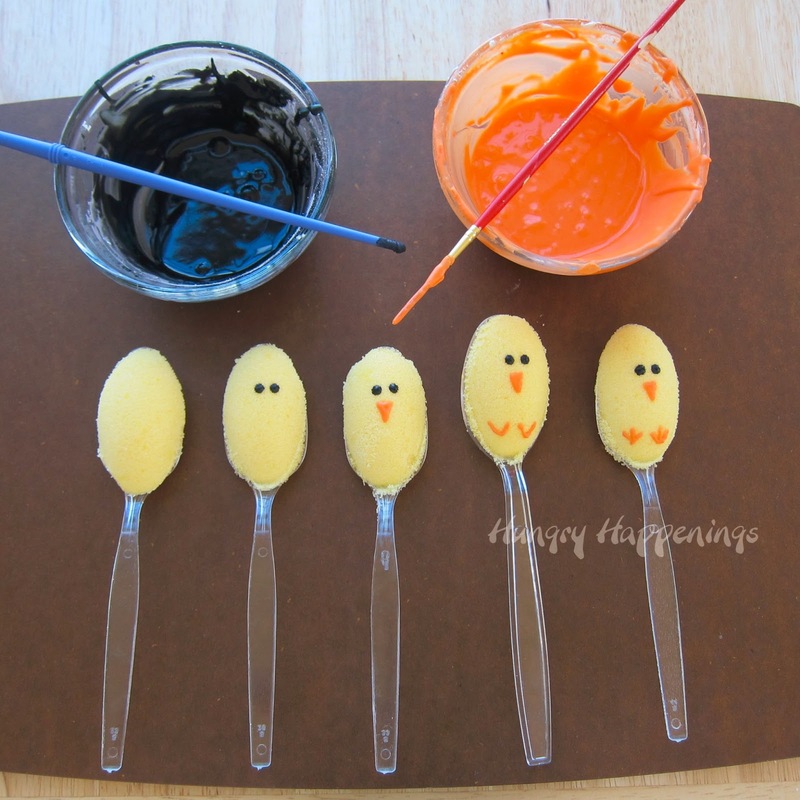 Use a paint brush to paint orange beaks and feet onto each chick. Add two black eyes. You can pipe these on if you prefer, but I found it easier to just paint them on. 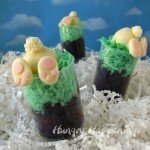 Serve with teat or coffee with dessert at Easter dinner. 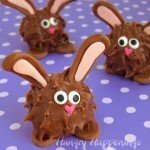 Seriously, these just gave me a sugar rush – they are sooooo cute. 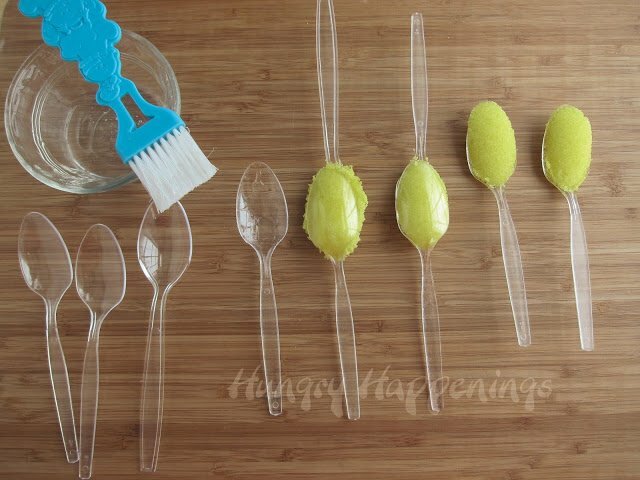 I love to make sugar shapes and love the idea to put them on the spoon! These are the cutest sugar spoons ever! I must go make some for my tea!! Thanks for sharing. 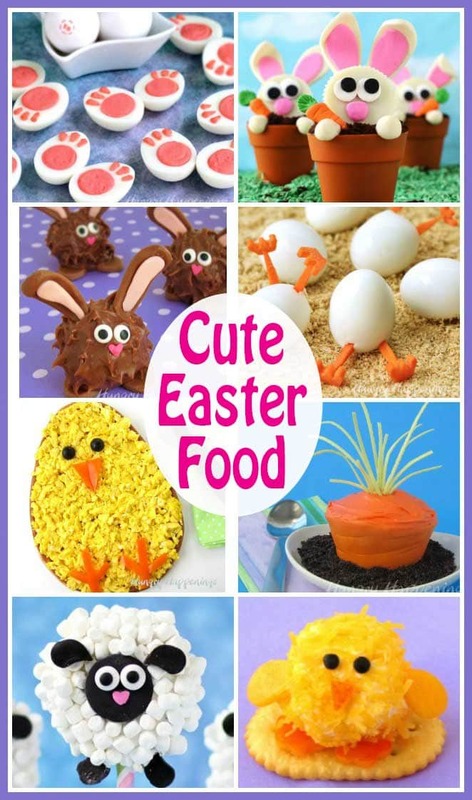 The day before Easter and you're still wowing us with cute ideas. Sooooooooooooo cute! This is such a great idea!! would you mind if I made these and sold them? I don't mind at all. I hope you make lots of money selling them! Be sure to snap some pictures and send them to me at beth@hungryhappenings.com so I can share them in my Reader's Gallery. If you have a website, I'd appreciate you giving me credit for the design and linking back to my post. If you send me pics, I can share the link to your site on my Facebook page. I'm always having people ask if I sell my items and I can direct them to you. 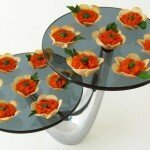 Beth…these are absolutely darling!! Gotta try 'em! Thanks, Charlotte. I hope you do try them! 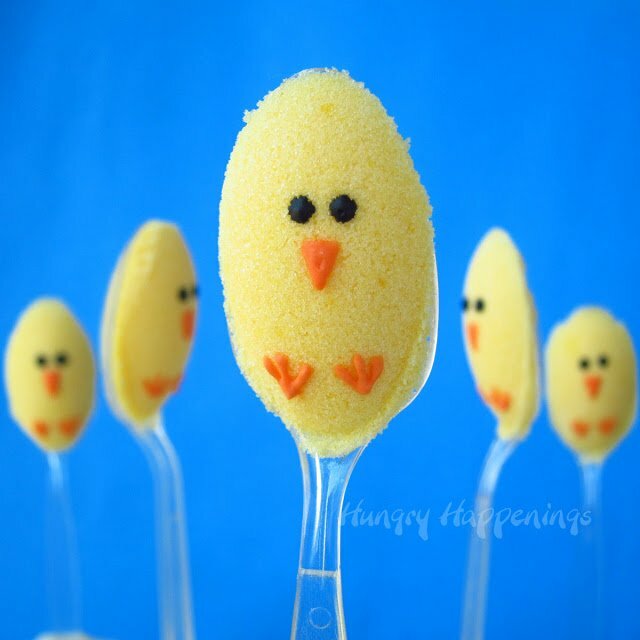 Doing this without the chick part for a Mary Poppins themed party, thanks for the recipe & instructions! Sounds like a fun party theme. I love Mary Poppins.